A vehicle’s transmission plays a vital role in providing a smooth and efficient ride. A transmission that is properly maintained will last for years. 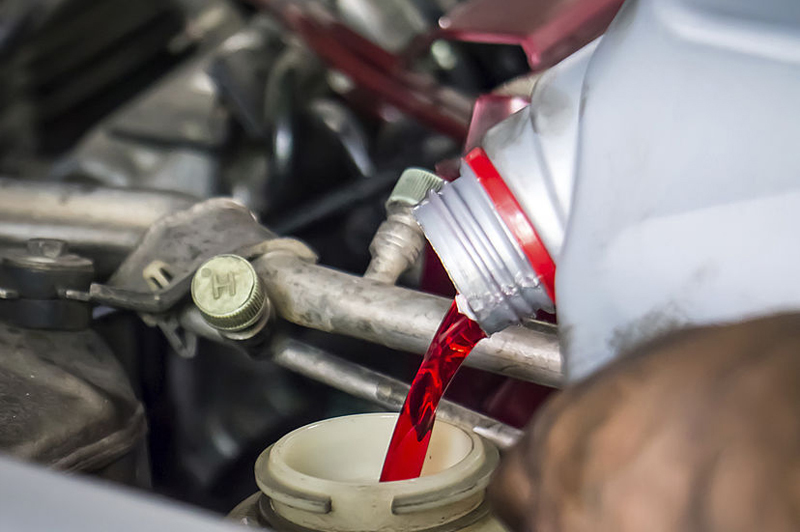 One way to ensure your vehicle gets the best care available is to change your transmission fluid at the interval recommended by the manufacturer. If the fluid is not changed properly, this can cause many other problems and even lead to a complete breakdown. A simple fluid change cost then turns into a few thousand dollars for a transmission rebuild or possibly a new transmission. The best way to avoid that type of disaster is to check your owner’s manual to determine how often the transmission fluid needs to be changed. The cost of having the transmission fluid changed will vary from vehicle to vehicle. A transmission fluid change can cost $60-$200 or more. Parts generally cost between $25-50, and then the cost of labor is added to that. Automatic transmissions are a little more complicated with more moving parts. Changing the fluid usually requires using a special machine to flush out the fluid or removing the pan completely and replacing the gasket and transmission fluid filter. The transmission fluid change cost for a vehicle with a manual transmission will usually be lower. With this type of transmission, changing the fluid is often as easy as removing the fill and drain plug, draining the old fluid and replacing with new. The cost could increase if a worn or leaking gasket needs to be replaced as part of the service. If manual transmission fluid is not changed properly, the components will start to wear down, and the fluid picks up metal particles because there is not filter to deter this. Whether you have a manual or automatic transmission, changing the fluid on time is important. Need to find a shop near you that provides this service? Use Blitzify’s free Auto Repair Estimator to see which shops in your area are offering the price for a transmission fluid change. We make comparison shopping super simple. There are many factors that will determine the cost of having your transmission fluid changed. As mentioned before, whether it is manual or automatic will be a consideration. The size of your vehicle matters. A smaller vehicle such as a sedan would not cost quite as much as a larger one, such as a full-size pick-up. That’s because larger vehicles will have a larger transmission and require more fluid. The cost of this fluid is typically measured by the quart. Whether you drive a manual or automatic vehicle, your manufacturer will recommend a specific type of transmission fluid. Of course, the vast majority of automatic transmissions will require ATF, but manual transmissions may require particular weights. A good mechanic will know what type of fluid to use, but if you want to know for yourself, that information can be found in your owner’s manual. The cost of your transmission fluid change will vary significantly based on the amount of fluid, and the type of fluid you choose to use. While most car owners will choose a conventional transmission fluid, some choose to use synthetic fluid. Below, you’ll find a few key benefits of both. Synthetic: A primary benefit of synthetic fluids is that they last longer than petroleum-based fluids, which means you’ll be able to go more miles between fluid changes. Many auto experts also believe synthetic transmission fluids improve the overall operating of a transmission, primarily through smoother shifting. Lab testing has also shown synthetic fluids to hold up better to a wide range of temperatures and resist oxidation. Conventional: Petroleum-based transmission fluid is more affordable and effective. While it may not have all the benefits and features of synthetic fluid, it will work just fine for your vehicle as long as you change the fluid as recommended by your car’s manufacturer. What Happens During the Transmission Fluid Change? There are several methods used to perform a transmission fluid change, but they all lead to the same result. Old fluid that breaks down over time and becomes less effective is removed and replaced with new fluid. The new fluid will provide better lubrication and stand up to high temperatures, low temperatures and oxidation much better than old fluid. The mechanic will prepare by verifying what type of fluid will be used during the change, and what other components might be needed, such as gaskets or filters. Before work is started, protective covers will be placed over the fenders to ensure your vehicle doesn’t get scratched while the mechanic leans over while working under the hood. Most technicians begin a project by attaching various lines to special machinery. Once the line that runs to your car’s transmission is disconnected, the technicians will secure it to the flush valve. At this point, the old transmission fluid in your car will be transferred to the flush machine. The crew will also connect a line from the machine to your automobile’s transmission. This line lets new fluid move into the car. The flush process is used by automotive shops around the country because it is quick to set up and can be performed relatively quickly. A transmission flush also helps ensure every bit of old fluid is driven out of your transmission and the lines by using pressure to push the new fluid into the transmission system. Some service shops will opt to remove the transmission pan completely to drain the old fluid. Doing this allows the mechanic to replace the transmission filter, the pan gasket and take a look to make sure all the moving parts are in good shape. When the fluid change is completed, the transmission will have fresh fluid, along with a new gasket and filter. Changing manual transmission fluid typically involves just draining the old fluid and replacing with new. Once the transmission fluid is drained, the mechanic will often run some additional fluid through before replacing the drain plug. This will provide a sort of rinse that helps remove buildups or metal shavings. In some cases, the mechanic may recommend changing the gaskets as well, which would require additional labor and cost. Rubber gaskets tend to wear out over time and will eventually leak. When transmission fluid gets old and starts to degrade, your entire transmission system is put in jeopardy. Friction: The primary purpose of any lubricant is to reduce friction. Once the properties of transmission fluid start breaking down, friction becomes unavoidable. As the components come in contact, metal shavings will break loose and circulate through the transmission. At this point, it’s only a matter of time before a major component breaks, potentially destroying the transmission. Temperature Control: TFresh transmission fluid can perform well in varying temperature conditions. When its ability to do so starts deteriorating, it is known as thermal degradation. On any given day, your transmission will experience drastic temperature changes. It will cool down overnight, but really start heating up as you begin driving, all those moving parts spinning rapidly. Keeping your fluid changed will help keep everything within a safe temperature range. Corrosion and Rust: When the fluid loses effectiveness, parts of your transmission will actually become susceptible to corrosion and rust. Your transmission won’t last long once this happens.